To make it tougher for consumers to commit credit card fraud and to make it easy for businesses to avoid charge-back liability, credit card companies have been issuing EMV cards. EMV is short for Europay, MasterCard and Visa. For years, criminals have been able to use the old system to commit fraud with counterfeit cards. Credit card fraud accounts for tw0-thirds of losses suffered by retailers. U.S. retailers lost about $44 billion in 2014 from a variety of fraud sources, according to a report by the University of Florida and the National Trade Federation. The payment industry rules took effect Oct. 1, 2015. Similar rules affect ATMs and gas-station pumps, respectively. As you know doubt know, the payment rules change charge-back liability from the card issuers to the merchants if they don’t switch from the old swipe-and-sign process. How EMV cards work: It’s simple. They generate a new code for every purchase or transaction. Thus, it makes it easier to control fraud. Assess your technology – your point-of-sale (POS) and payment systems – before you invest in a new system. It might be possible for your old system to use the new EMV cards. If you have purchased a POS system in recent years, it’s likely your terminals can read the chip with simple software change. If you have to acquire a new system, be prepared to negotiate with your payment-system vendor. You might get a better deal than you otherwise would. You can get more information on the EMV liability switch from a couple of sources: GoChipCard and VisaChip. There’s a myriad of options. Some vendors provide free terminals. Some are affordable, such as the compatible card read from Square. 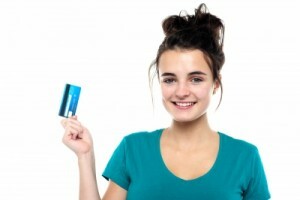 You can use the EMV switch to build trust with customers. Use the switch as a marketing tool. This will show consumers your high regard for security. This will be especially important in selling to travelers, who worry about identity theft and fraud while they’re away from home. Strategies for Retailers to Prevent E-Commerce Fraud — Merchants are certainly aware of online fraud and 65 percent are trying to fight it, but their efforts aren’t working according to a study. The anti-fraud study was conducted by CardNotPresent.com and SignatureLink.